"This is one of those books that's inspiring not because the author wins the Olympics, but because she grabs the rudder of her own life, and steers a true, brave, and challenging course." "What a pleasure to read Julie's transformative journey from a mile-a-day to a running expert in the space of a year. This book is not only great documentation of true inner change, but it's full of wisdom, great running tips, awesome quotes and enough humor and encouragement to take anyone for as many miles as they want to go." "As a streaker for over 30 years, I understand what it takes to get the run in every day - no matter what! This is a great read for those wanting to get started streaking - or to get running period." 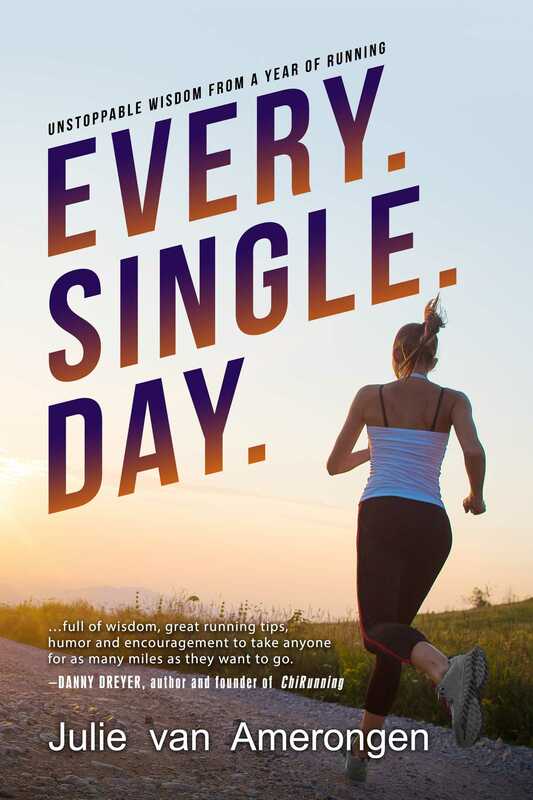 "Insightful and funny, this book details the struggles to find time for daily running, while juggling the demands of being a busy wife, mother, and writer - an outstanding accomplishment." Book Cover Image (jpg): Every. Single. Day.